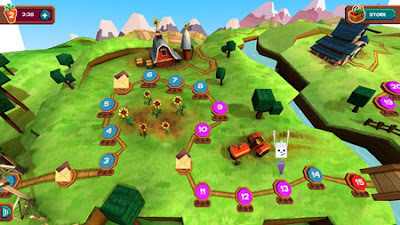 #MoWithLove app for Windows Phone and Stack Rabbit game for Windows 8 released by Nokia and Disney. 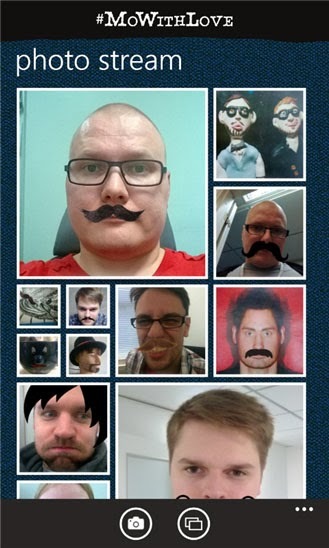 #MoWithLove for Windows Phone was developed by Nokia and Futurice and is in no way associated with the Movember foundation. Stack Rabbit for Windows 8.1 is here! Hop in and play a wild new puzzle adventure from Disney and the creators of Where's My Water! Both are available as a free download, #MoWithLove compatible with Windows Phone 7.5 and 8 phones, Stack Rabbit compatible with Windows 8.1 devices. Download now and stack your way to puzzle success! Ben the Rabbit's peaceful, veggie-thieving life is turned upside down when his sister goes on vacation leaving him to babysit her restless bunny children. With a bounty of bouncing bunnies to feed, Ben must sneak into the nearby farm and steal enough veggies to feed the kids! But watch out – Max the guard dog is always keeping a watchful eye on the farm's veggies!